The American Humanist Association, in conjunction with 18 other nontheistic (atheist and agnostic) organizations, recently sent a letter to President-Elect Barack Obama urging him to decline the title and role of honorary president of the Boy Scouts of America. BSA policy is to deny the participation of nontheistic members and employees and expel those already involved. Thus the letter asks Obama to break with tradition because taking on the title of honorary president would send a message that discrimination against atheists and agnostics is acceptable. "President-elect Obama was himself raised by a mother whom he described as a secular humanist, a remarkable woman who was very much a religious skeptic," said AHA President David Niose. "As such, he surely realizes that, if he were to accept the current Boy Scout standard, he would be endorsing discrimination against the same value system under which he was raised." In light of your campaign promise to bring the nation together in a spirit of change we need, we, the undersigned nontheist organizations, urge you to take this opportunity to signify that discrimination against atheists, agnostics, humanists, and other nontheists will not be condoned. The Boy Scouts of America maintains that no member can grow into the best kind of citizen without recognizing an obligation to God. 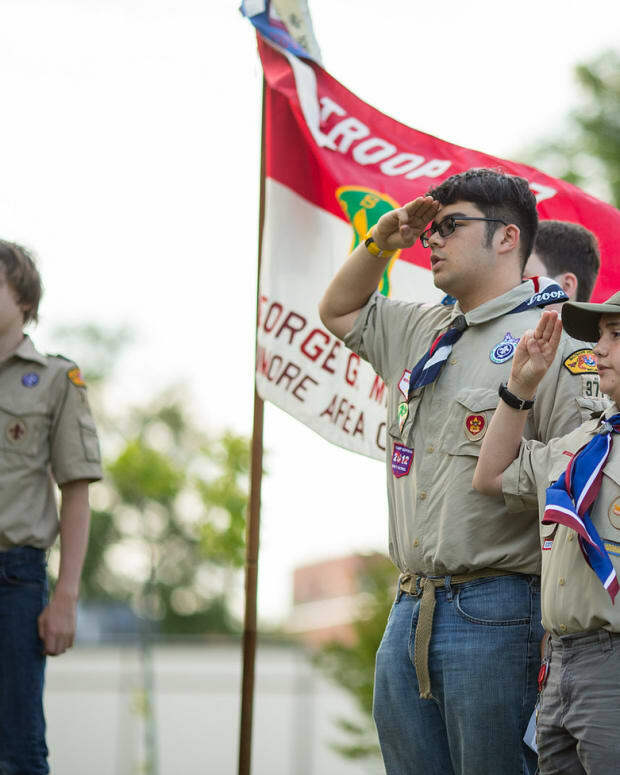 In the first part of the Scout Oath or Promise the member declares, "On my honor I will do my best to do my duty to God and my country and to obey the Scout Law." The recognition of God as the ruling and leading power in the universe and the grateful acknowledgment of His favors and blessings are necessary to the best type of citizenship and are wholesome precepts in the education of the growing members. The BSA has elected to set itself apart as a private organization that may discriminate in ways contrary to the laws and practices required of local, state, and federal authorities. 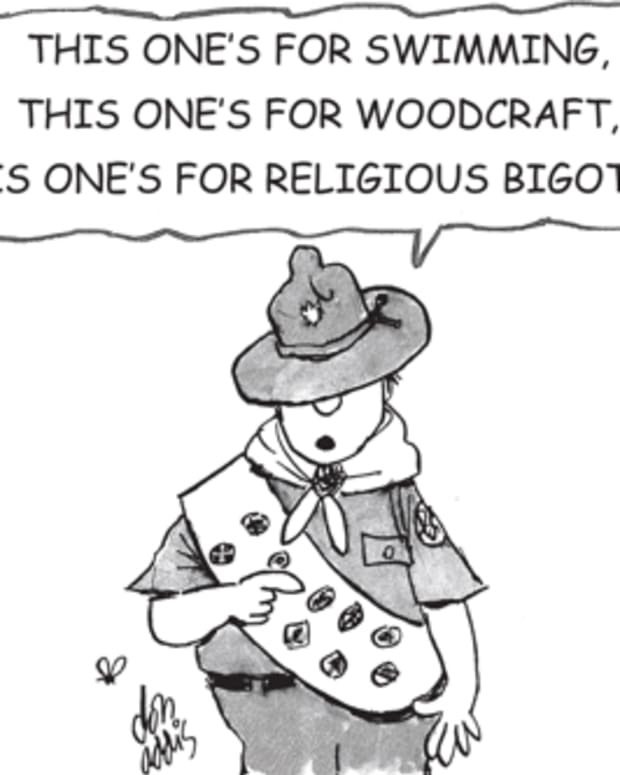 Accepting the title and role of honorary president of the Boy Scouts of America would thus send the message that institutional discrimination against people who don’t happen to believe in a god is acceptable. Many presidents of the United States have taken on the title of honorary president of the Boy Scouts of America. However, this tradition was established when discrimination against nontheists was, unfortunately, socially acceptable. Given that nontheists now make up a sizeable minority of the American population-­having more numbers than Mormons, Buddhists, Hindus, and Jews combined-­the BSA is clearly out of touch with the spirit of pluralism, tolerance, and inclusiveness that compose today’s American values. By contrast, in 1993 the Girl Scouts of the United States of America adopted more inclusive policies. Therefore, please decline the title and role of honorary president of the Boy Scouts of America until such time as the organization reforms its bylaws and practices to be non-discriminatory.